The Bachelor of Science in Biomedical Engineering (BSBME) degree program in the Weldon School of Biomedical Engineering at Purdue University has been accredited by the Engineering Accreditation Commission of ABET, Inc., the recognized accreditor of college and university programs in applied science, computing, engineering, and technology. ABET accreditation demonstrates a program's commitment to providing its students with a quality education. Pedro Irazoqui, an assistant professor in the Weldon School of Biomedical Engineering, is one of three Purdue University researchers selected to be a part of collaborative research teams with the Howard Hughes Medical Institute. Iraqoqui and William Chappell, associate professor of electrical and computer engineering, will work with HHMI investigator Simon John of the Jackson Laboratory on glaucoma research. This is the first time HHMI has provided direct funding for specific research projects. 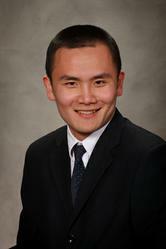 BME graduate student Jianming Li has been named one of two Purdue students to receive a 2009 Chorafas Foundation Award. This award for advanced graduate students includes a $4,000.00 cash prize intended as co-funding of advanced research or studies, including travel to explore post doctoral opportunities in Nobel Laureate's laboratories. The Chorafas Foundation was created in 1992, and prizes are awarded to students at more than 20 universities around the world for exceptional doctoral research projects and to help stimulate research among young doctoral candidates. Dimitris N. Chorafas is an internationally recognized consultant who has advised financial institutions and industrial corporations on strategic planning, risk management, computer and communication systems, and internal controls since 1961. He has authored more than 100 books. Jianming Li won the award for his dissertation "Novel three-dimensional biomimetic scaffold for neural tissue engineering," which was also selected for a BME Top Dissertation Proposal Award. 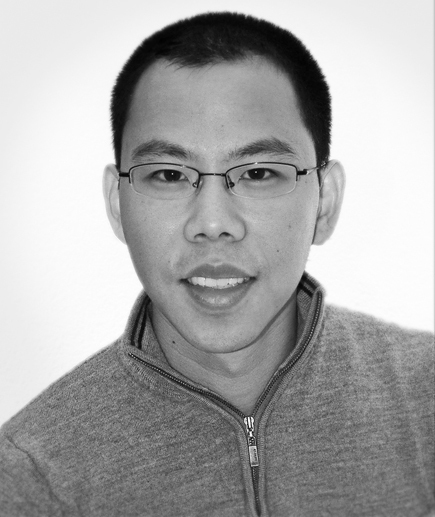 Li is an IGERT Fellow, a Bilsland Strategic Initiatives Fellow, a NSF GK-12 Fellow, and a Henry Ford II Scholar. He has also received an Outstanding Graduate Student Award in 2008 and the Magoon Excellence in Teaching award in 2007. His advisor is Professor Riyi Shi. It is with regret that we announce that Daniel Song, Class of 2008, lost his life in a vehicle accident Saturday night, December 20th, while returning to campus to participate in graduation ceremonies Sunday morning. As many of you know, Daniel was a very likeable student; full of ambition, talent and with a goodly dose of humor. He will always have a special place in the memories of the Weldon School family. If you have a favorite memory of Daniel that you would like to share with others who knew him, especially with his family, please e-mail it to his Academic Advisor, Truda Strange. These will be compiled into a remembrance.